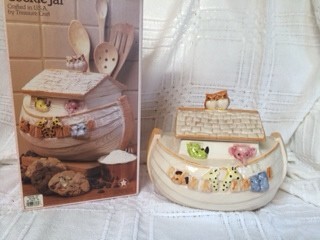 Treasure Craft "Noah's Ark" Cookie Jar, Manufacture date unknown. Marked: Treasure Craft (c) Made in USA. The jar is in Mint Condition in the original box. The jar is from a private collection.